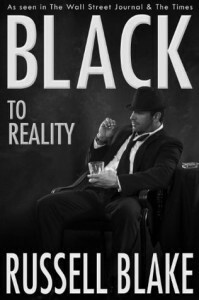 BLACK To Reality is the fourth in the acclaimed BLACK series of noir detective fiction featuring Artemus Black, the world’s losingest Hollywood Private Investigator. In this installment he is saved from financial calamity when he takes a case that requires him to work undercover on a reality television show, posing as an over-the-hill rocker trying for one last shot at success. Black is back, broke and down on his luck. The rent’s overdue on his apartment, Roxie’s had no wages and there are no clients beating down his door. Add to that the move to a swanky new office, which unnecessary luxury, according to Black, is taking what little money he has left. Roxie is forced to look for another job until things improve. Then Black gets a call about a new client. Reality shows are in the firing line in this story as Black is assigned to investigate possible shady dealings in a reality TV competition, Rock of Ages. He gets a chance to relive his long-lost fame by joining, as lead guitarist, one the groups who were knocked out last year. Brushing up on his guitar skills and getting a rock star make over, Black is again in the thick of the action. Could he actually have another shot at a career in the music business again? I just love Black’s character, his decency, generosity and sense of humour, not to mention his relationships with Stan, Roxie and Mugsy, who takes centre stage in this episode and eventually provides something of a life line for Black. Black is an authentic individual with normal, everyday issues in his personal as well as professional life, which most people can relate in one way or another. Underneath all the humour there’s some serious subject matter, including Black realising he’s reached the age of 43 with not a lot to show for it except ‘an eccentric wardrobe and an old Cadillac’, complex emotional issues and dealing with abandoned and ignored dreams. His character development has advanced and he’s less angry and bitter about the way his life has turned out. Again, a realistic plot line with any number of suspects and an appreciable amount of Russell Blake’s entertaining and witty dialogue. 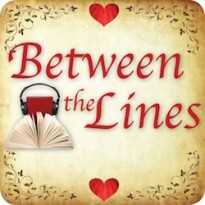 I really enjoy listening to this series, it’s one of my favourites and RC Bray delivers a first-rate performance, balancing the humorous and the serious and handling the characters in an easygoing and distinct way. I hope we see a lot more of Black in the future.